An App To Kick start Your Startup - Illusive Design Inc.
An app for startups is arguably the digital equivalent of whetstone to a sword. It is a time where entrepreneurship is perhaps the most hotly contested of the corporate art forms. And to further the competitiveness, businesses big and small have stretched and redefined the boundaries of innovation and ingenuity. The result: an insurmountable need to permeate a product’s reach to as wide an umbrella as possible. Here an app has become modern day business’s most pivotal marketing weapon. And to go in search of an app’s secret to cyber corporate success is why, we are here. So without further adieu, startup owners, this, is the computed and calculated realm of what makes an app tick in the right direction. And more importantly it is also why you, should most definitely have one for your precious venture. Why an app in the first place? Simply put, an app or application in full form is a software function designed to run on all range of electronic smart devices. A business app thus provides connection for consumers to their various desired products and services and it does so remotely. Through apps, a person is able to access product catalogues, company information and various other features associated with companies that make them. This very feature has made apps an indispensible feature of modern day marketing and especially so for a startup. Large scale advertisement serves as the buttress for the industry powerhouses aggressively pitching their creations. But for startups on less impressive finances, an app’s aforementioned handiness and connectivity makes it a first line of marketing offence. If you’d care for a more detailed foray into what necessitates an app, Melanie Haselmayr at Forbes does a more in depth review of what makes apps a must have for startups. So how does it weave its digital magic? Carrying forward directly from the ready accessibility factor is the multiplatform nature of apps. This is another major contributing attribute to the necessity of having such digital representations of one’s business. An application is shared by a myriad of device platforms. Ranging from static cumbersome computers to portable devices like cell phones and tabs. Be it a cure or boon, the modern day person is fixed with a need for constant association with electronic devices. Be it for work or leisure. Thus the aforementioned availability of apps on all such platforms further augments the convenience factor. This once more is owing to the ease of access whenever and wherever wished for. It could be a teenager on a Facebook scroll on her mobile phone suddenly feeling an urge to browse fashion. Alternatively it could also be a programmer working on his laptop realizing a need for some new device accessories. An app can be one’s shopping best friend across any and all of the technological monstrosities that dominate us. Hackdesign does a more detailed report on this. Next comes the attribute of an app that truly allows businesses and their owners to showcase their inventiveness and creativity. An app is not merely a platform to sell one’s products or to keep customers up to date with what they’re doing. It is also the ultimate tool to create attractions for consumers through the use of both innovative business policy as well as skilled digital work. Apps can be used to create user friendly interfaces and digital features that serve as attractions for customers. Aside from merely showcasing products, the app can boast a full complement of interactive features including eye candy such as animations, GIFs, engaging videos and many others among the creative wizardries of the digital world. Secondly and perhaps more significantly, an app can be the chosen tool for promoting various benefits to customers. Offers, contests and discounts can all be presented to customers in an app dependant manner. In particular businesses conducting online sales will find it the idle treat to sweeten their products for customers. Attractions like gift vouchers, lucky draws and purchase related discounts, can all be sown into various features and offerings of the app. Business News Daily has a deeper look at this here. Whereas an app is at present, a customer’s one stop solution for any and every service and product, cyber platforms also serve as a savior for companies for simplification of their tasks. An app is in simple terms, a company’s all in one engagement hub. In this era the needs of the consumer and the processes for fabricating their solutions have grown ever complex. Hence the need for creating a simple platform that connects all departments and customers has become key. Once more, it is an app that comes to the proverbial rescue. Firstly, it wields capacity for connecting customers with the specific department they need. Secondly, an app allows for personalized communication between buyer and seller. The summation, it is the ideal, multipurpose bridge that connects startups and their customers, promoting healthy consumer-seller relations in the process. Gartner.com does a more expanded dissection of this here. And finally, all this song about the praises of an app is by no means mere words. They are in fact testimony to landslide success seen in a wide spectrum of cases. 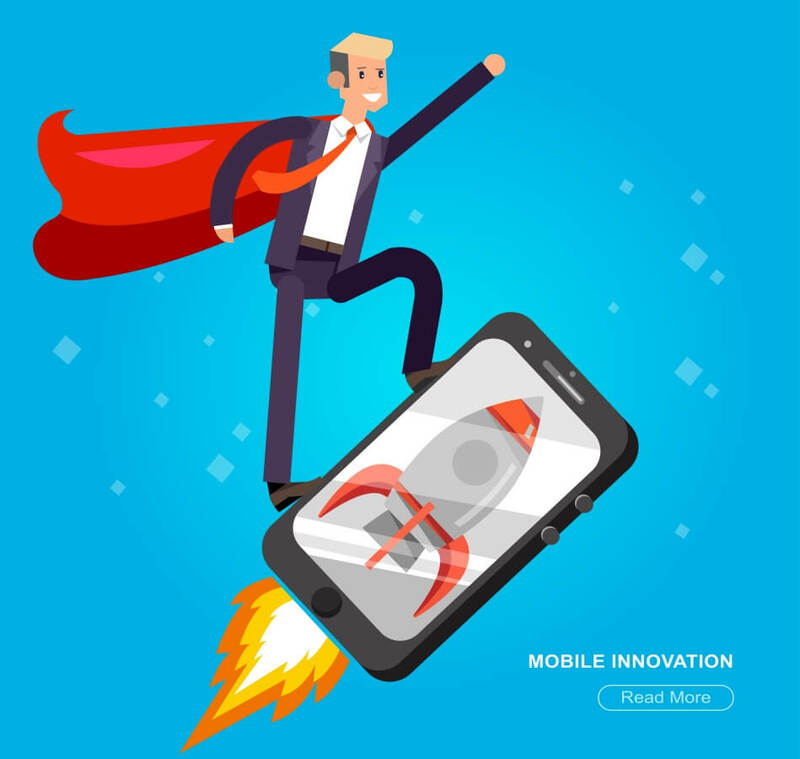 Countless times it has been seen how an app acted as the metaphorical rocket and propelled a company’s ship straight into the stratosphere. And even more impressive is the extreme variation of businesses that have reaped the considerable benefits of this digital boon. Ranging from hair salons to magazines, there is no area of the corporate arts where the power of the app does not reach. To gain a firsthand view of the how far an app can truly catapult its parent company, let’s take the example of one Michael Rechichi. Before his barber’s shop, the Gentlemen’s Barber, may have been simply another figure in the crowds of hair stylists, jockeying desperately for customers. However soon, he distanced himself well and truly from the rest and stood out. The key to this rise being nothing but an app. With the notion to give back to his customers, Mr. Rechichi set up his app. It allowed mobile bookings, benefits like loyalty cards and even push notifications about daily openings. In other words, the amalgamation of all that we have gone over, and with the expected results at that. You may search here for more of such encouraging stories! The world today stands at a point where absolute connectivity is a basic necessity. Everyone and every entity must be connected to its various interests at all times.